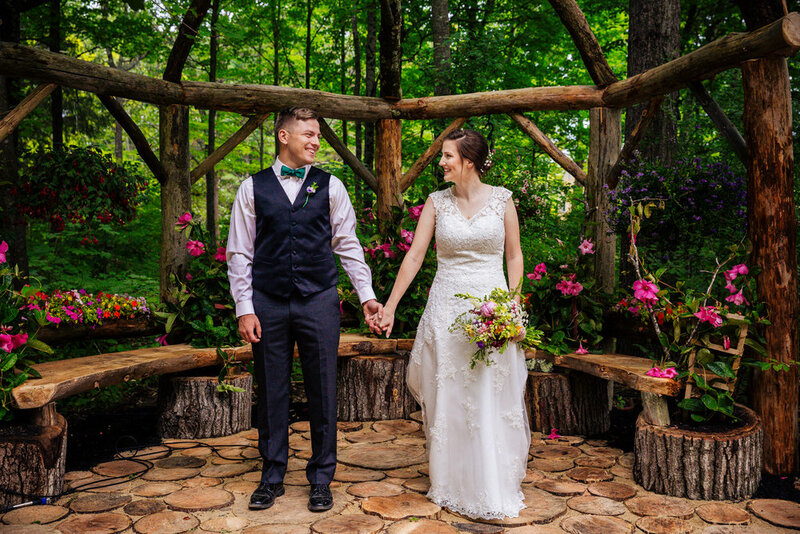 Cory & Maura were married on a friend's property and it was one of the most beautiful and intimate ceremonies I've ever seen, and nearly every detail was handmade or handcrafted with love. The altar was handmade by the bride's family and featured a hand-cut wood floor covered in flowers. Talk about a dream ceremony. It truly was a testament to the love surrounding this couple and their wedding day. Congratulations again to Cory & Maaura on the start of a wonderful life together.